Even though we do not have to use this knowledge on daily basis when pleasure fishing and on pleasure crafts, it is nevertheless entertaining to know a bit about this and know what this is all about. There are various reasons for why magnetic compass will not be right and the reason can be found in its close environment. This is called magnetic deviation. 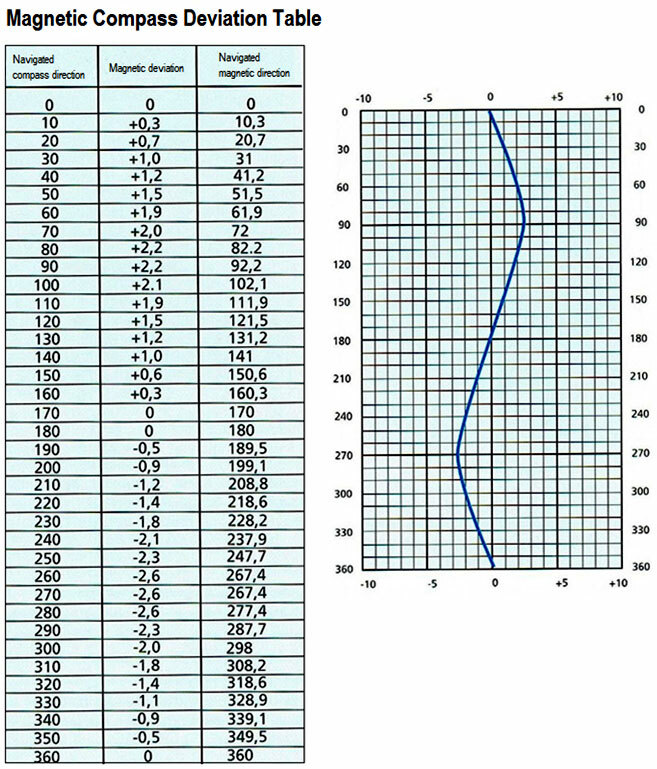 Magnetic deviation in vessels differs between vessels. Iron vessels have considerable magnetic deviation, but it is less in vessels made of tree and plastic. The compass should be adjusted annually and that is what professional compass adjusters are for, they have the right equipments to adjust the compass. Then they will issue a special table with corrections, which should be kept on a prominent place near the compass. Various equipments are on board vessels, as can be seen on this image, and they all can cause a magnetic deviation in the compass. The tools and equipments on board form a magnetic pole on the vessel. 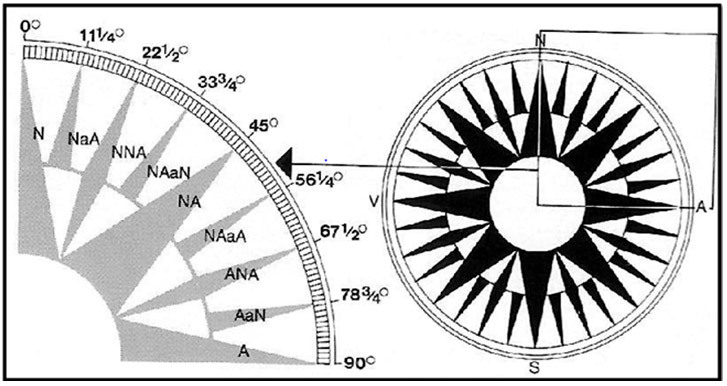 When it is not possible to adjust the compass, a deviation table is made which shows the deviations according to the courses. Deviation table should always be kept near the compass and be well visible. The liquid ingredients of a compass are a mix of alcohol (methanol which is undrinkable) and distilled water (1:2) which prevents the compass from freezing. The compass rose rotates on a needle made of hard metal. The compass rose forms a 360° circle and is divided into 32 points, that is what nowadays is called the old system. The 32 points which form the rose are divided into eight principal points, eight half-points and sixteen quarter points, with each compass direction point at 11 ¼° angle from the next. Nowadays, degrees are generally used in navigation; the degrees are symbolised with the degree symbol ° after the number, for example 23°. A hand compass has a dial and a magnetic needle which points to the dial. 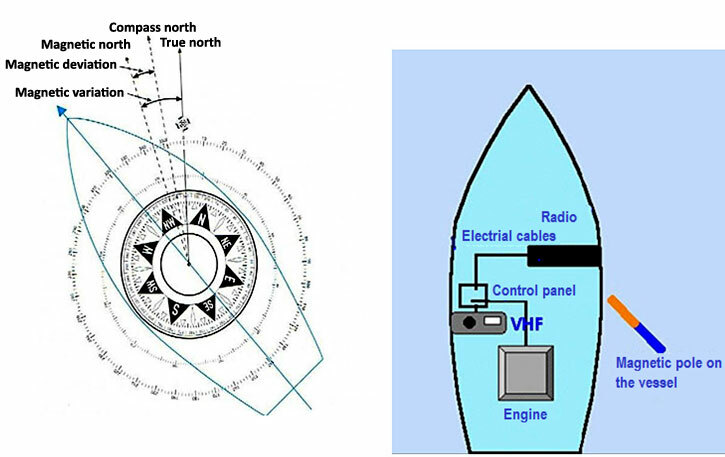 The gyrocompass is independent from the earth’s magnetic field, but is dependent the vessel’s electrical system. It always shows true courses. The GPS compass is a relatively new type of compass, but it has gained ground and is much used on board vessels, whether it is on small fishing vessels or large. It has for the most part replaced the gyrocompass. 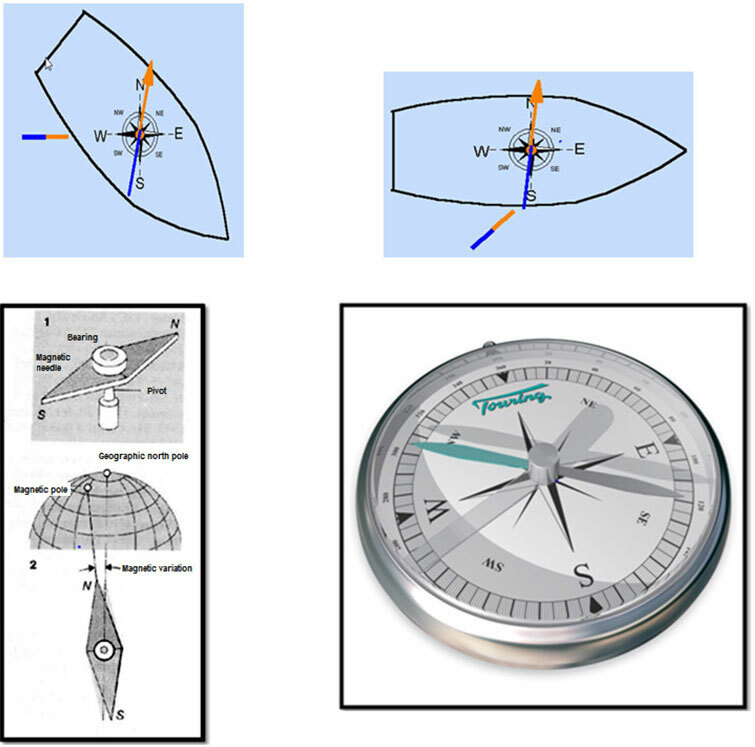 The gyrocompass is mostly used on merchant vessels and large vessels.